**Note: This is a bit more of a recollection like a Storytime as it draws some parallels from the review. If you want info on the book, scroll down. Otherwise, enjoy the read. A long long time before super-modern tech of 2010 existed, people were battling to find the giant squid. Moreso, actually see a living one and real pictures. I was no exception. 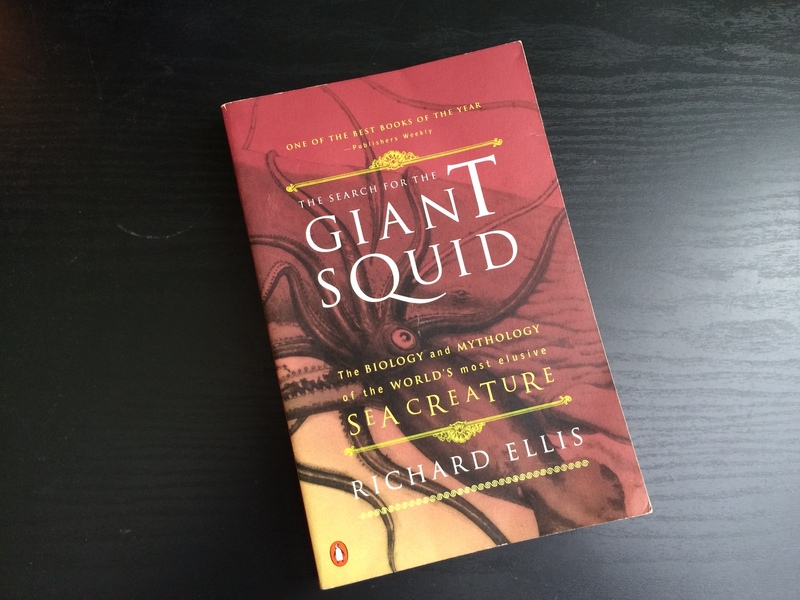 Even since 2003, I remember trying to Google the giant squid. It was on the level of a creature from cryptozoology for me, and I was desperately trying to find any sort of picture and information about it. So with my newfound job, one of the things I’ve been doing in trying to stack up on all my favorite books I read while I was younger. 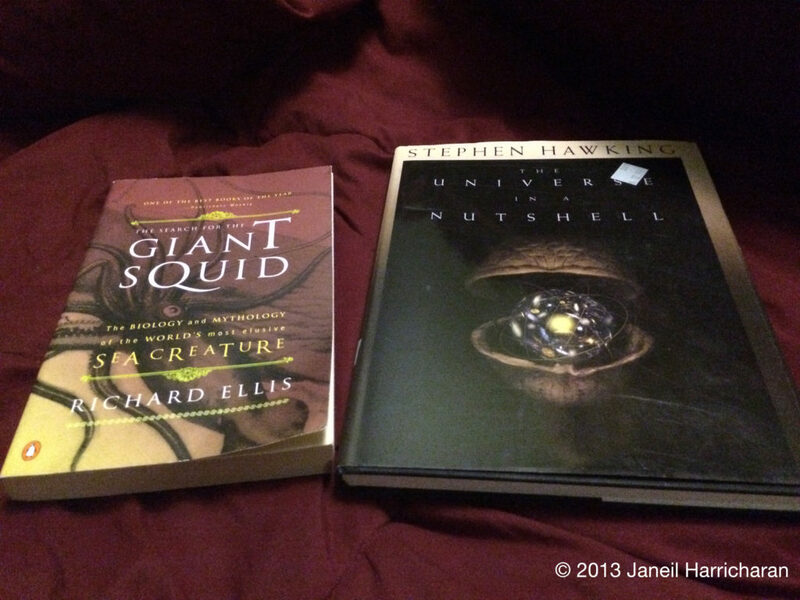 These two books I loved to death, as they dealt with mysterious, unknown things. The Universe in a Nutshell helped me understand astronomical and cosmology concepts quite a bit, too. I’m glad to finally own these!